Many people stated that we peaked early with our IT WORKS BAG. We could never again match our own brilliant idea of upcycling refugee boats, at a time that people needed bags with the world press being already present. It was a puzzle that fell into place at the right moment at the right place, launching us onto the public stage. We had this project carefully thought out and prepared, its success was no coincidence. This time around, the situation in Greece has changed and so have the needs of the refugees. We felt challenged and even a bit insecure of whether we could meet expectations. What we did know is that we would be doing workshops. Because we found out that an activity is actually more important than an end product. 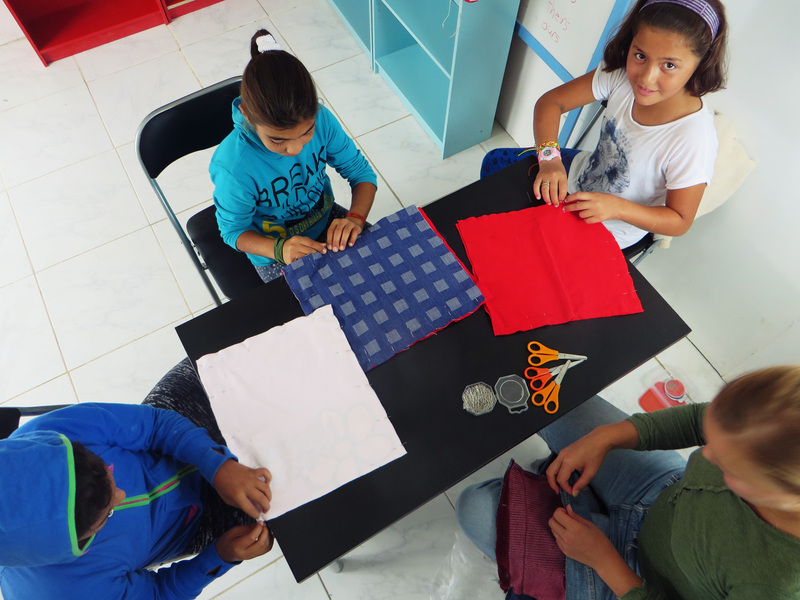 Whether we make make bags, sew flags or even just cut rags, it’s all about doing something constructive together. 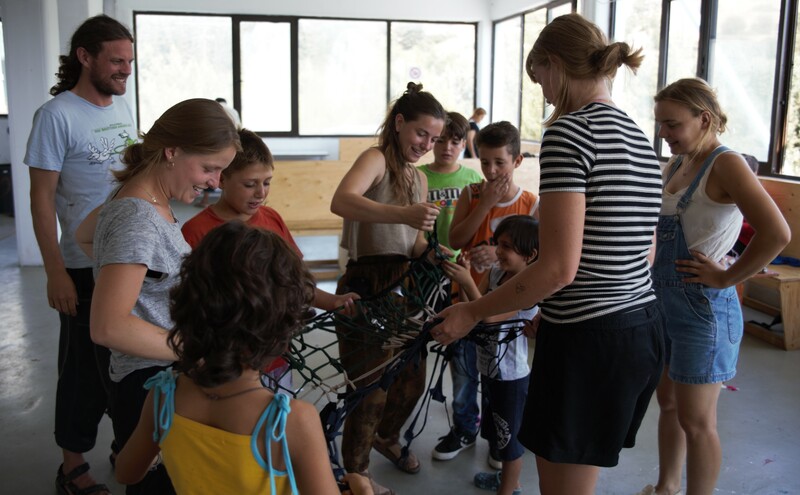 A fun activity that empowers refugees to be more autonomous. 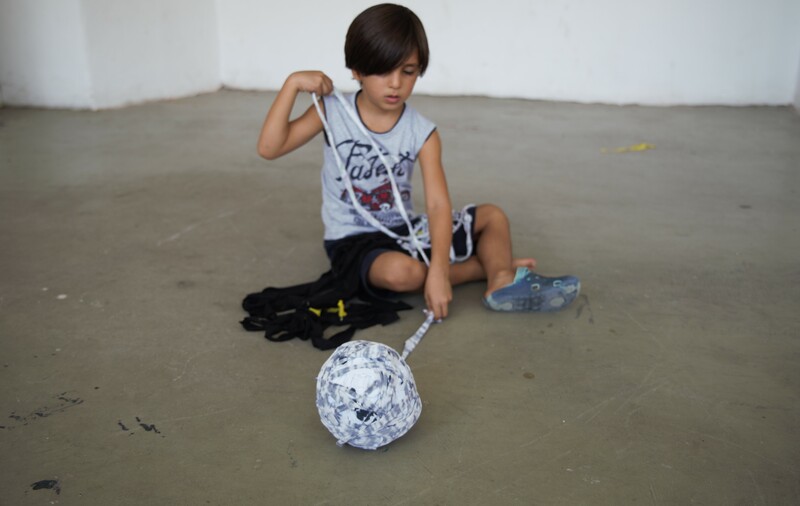 For us these workshops are an investigation of what’s feasible in the camp. We get to know the needs of the people, and hopefully create something that can work on many different layers. 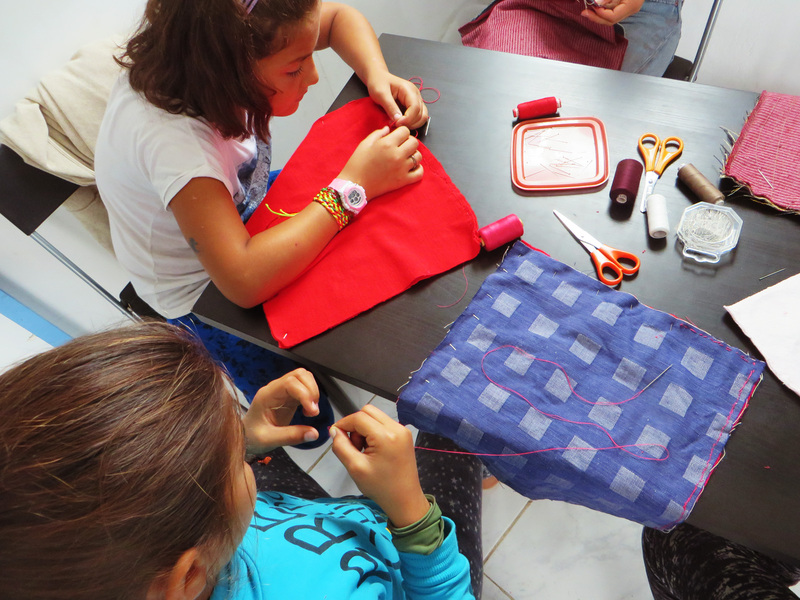 While working in the EKO camp, we frequently got the question whether we would do a bag workshop. 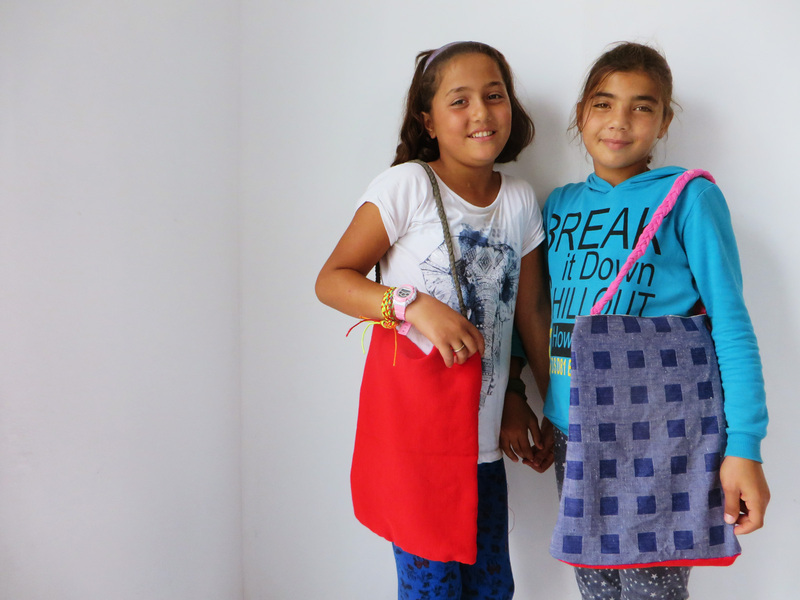 Yes, the kids here need bags too: Schoolbags. So while we wrapping up the flag workshop and deliver a toolkit to other volunteers, we are designing a new workshop. 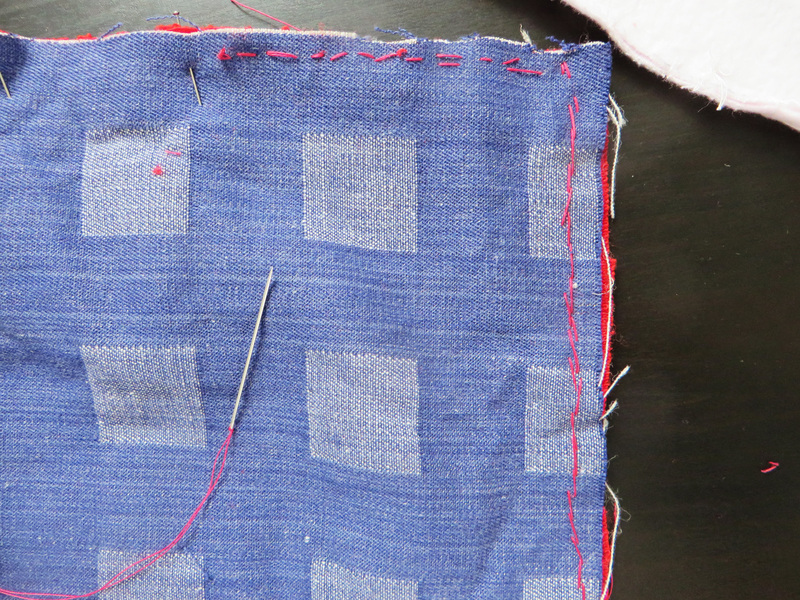 We’ll be making simple tote bags from discarded textile. This may seem like a small idea compared to the IT WORKS BAGS, but do you think that matters to the workshop participants? Judging from the sheer amount of mosquito bites we got here in Greece, we surely must be able to make a difference….